Quaint, historical, cultural and neat – these are the descriptions of the wonderful, charismatic Mozambique accommodation on Ilha de Mozambique, a small island floating off the coast of Nacala. Now a popular Mozambique holiday destination and a UNESCO World Heritage Site, the island is only three kilometers long and 500 meters wide. Small traditional houses, churches and mosques spread out alongside old colonial style Portuguese buildings dating back to the sixteenth century. Stay in the house of Terraco das Quitandas, more than 300 years old, located in the heart of Ilha de Mozambique’s Stone Town, also known as Fort São Sebastião – captivating with its ancient fortifications and interesting architecture. This small Mozambique boutique hotel oozes with history and tourists will love its authenticity. Picture cool interiors, thick white walls, polished stone floors and arched doorways. Accommodation consists of only six elegant air-conditioned bedrooms, individually decorated with king size beds, private bathrooms and plenty of space. Contact one of our consultants to book your bed. Ilha de Mozambique is also the setting for Hotel Escondidinho, a renovated 19th-century house now offering typical Mozambique accommodation for 20 people in 10 unique rooms. 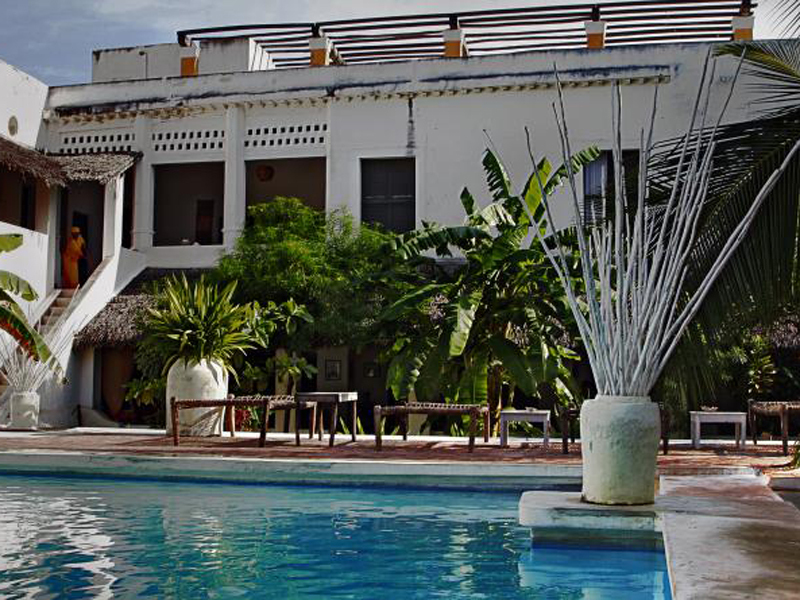 Once a trading house where slaves were accommodated, this hotel can be found on a quiet street in Stone Town, with a shady courtyard and great restaurant. Hotel Omuhipiti is a four-star holiday venue offering accommodation in 22 attractive rooms with sea views, including two master suites, two junior suites and 18 twin rooms. Facilities include private bathrooms, air-conditioning, satellite televisions, telephones and room service. The hotel restaurant seats 70 diners, perfect for those looking for a comfortable island getaway on this historical island. Another way to get to Ilha de Mozambique is to stay at Coral Lodge 15.41 on a beautiful mainland peninsula within an untouched nature reserve, a short boat ride to the island. Enjoy wild white beaches and mangrove swamps, coral rock sand dunes and stunning views from these 10 villas blending into their environment. To sum it up, a visit to Ilha de Mozambique is well worth the trip and the accommodation will make it all twice as nice! Great resorts and lodges available for all budgets!